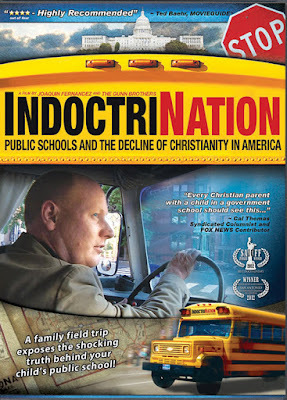 Two interviews with public school teacher Sarah Laverdiere serve as stunning book ends for Colin Gunn's remarkable investigation into the anti-Christian roots of public education. LaVerdiere is a Christian who has a hard time reconciling her job with her faith - she doesn't know if she should be making parents feel good about sending their children to a public school. At about the 26 minute mark LaVerdiere is asked, "How long would your career last, if were to start teaching Scripture from the front of the classroom?" Laughing, she answers, "I'd probably be out of here that day! "I did return to the elementary school that day. And the principal supervised me as I cleaned out my classroom. They has the students go on a back playground and they had me go around a different way than I normally do so that the students could not see me while they were on the playground... when all I had done was tell my students I was leaving because I was a Christian." That, in a nutshell, summarizes the state of public education in America: it is at war with Christianity. There is much more in this documentary. The narrative for the film is the Gunn family's trip, in a big yellow school bus, across America. 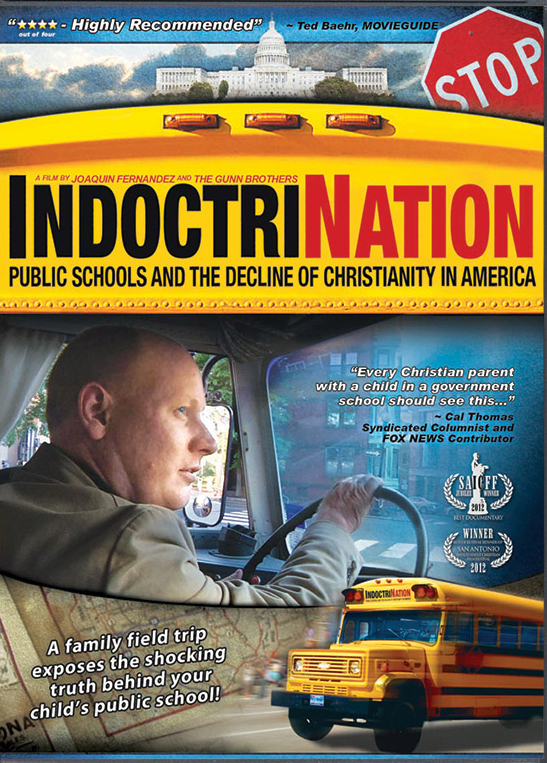 They travel from place to place visiting educational experts, and Reformed theologians and uncover the radically anti-Christian roots of public education. It is no accident that God is now unwelcome in the classroom. As Gunn shows, for many of the most pivotal figures in educational history, that was the plan from the beginning. In addition to the specifically Reformed influence in this film, another attractive feature is the filmmaker and narrator, Colin Gunn. Scottish-born, his accent is charming and, if a grown man can say this about another grown man, adorable. I can't imagine a more pleasant voice to listen to as the dire and dour state of public education is explained. Clever animated illustrations and engaging interviewees make this a highly enjoyable as well as highly educational experience. Though this is about the US public system, it is highly relevant to Canadians as well, as this is primarily an exploration of public education philosophy, and this same philosophy pervades our schools north of the border too. A great production... and an important one! 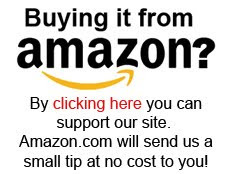 To buy a copy at Amazon.com click here. In 1925 teacher John Scopes was found guilty, and fined $100, for violating a law which prohibited the teaching “that man descended from a lower order of animals.” But while the court found him guilty, the US media championed him in their papers, and fed the public a distorted account of events that made the anti-evolutionist prosecuting attorney, William Jennings Bryan, look like a fool. A play about events, called Inherit the Wind, often produced by high schools and colleges, spread the distorted account to subsequent generations, and a 1960 film of the same title (starring Spencer Tracy) took the distortion to a whole new audience. There was no attempt at fairness - in one bombastic scene the town’s fundamentalist Christians are portrayed as an angry mob, marching on the jail to lynch the evolution-teaching teacher! This, then, is another caricature of creationists, but bigger than most in that it’s portrayal of creationists as violent, dim-witted and bigoted has impacted public perception for generations. One of the best responses to the film is a lecture done by Dr. David Menton. 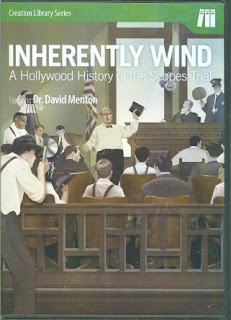 In his presentation Inherently Wind: A Hollywood History of the Scopes Trial he deconstructs one outrageous lie after another by showing a scene from the film, and then explaining the actual facts of the matter. Even if you’ve never seen or heard of Inherit the Wind before, it’s still worth watching this lecture just to learn about the contempt and hatred Hollywood has historically had for Bible-believing Christians. And if you have seen the film Dr. Menton’s presentation will blow your mind. You may have realized the film was propaganda, but you never realized just how little regard the filmmakers had for truth, fairness and honesty. This great presentation can be viewed free online here.